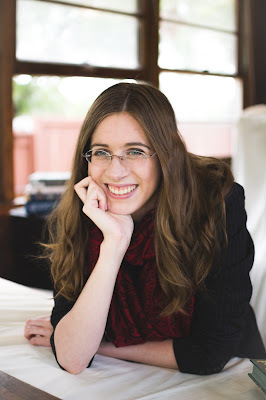 About Us: Geek Haus Press is the home of Elizabeth Amy Hajek (formerly Hausladen). We believe in stories that grow the imagination and provide both entertainment and food for thought. We are based in Minneapolis, MN. Elizabeth Amy Hajek (as her in-laws pronounce it: “Hey Jack, get off my lawn!”) is a renaissance woman, both in her love of Tudor England and her vast array of hobbies. After a long period of indecision in which she explored independent filmmaking and learned that English Majors have to dissect too much poetry, she settled down to a life of trying every artistic, culinary, and crafting experience she could get her hands on. In addition to writing about magical folk, she runs a variety of sewing related enterprises. She lives with her husband and their Shih Tzu in Minneapolis, MN. Letters from readers are happily received at ElizabethAHajek(at)gmail(dot)com, or at her blog, elenatintil.blogspot.com.